Donations were collected at Maria Arbiol’s house, where they were sorted then delivered to the Tamiami shelter. Education alumnae Maria Arbiol and Jennifer Canals-Diaz are leading donation drives to help victims of Hurricane Irma in South Florida and the Caribbean. As undergrads, both were natural leaders, presidents of Delta Phi Epsilon Sorority and Alpha Xi Delta Sorority in 2002, and involved in various aspects of campus life at FIU. Today, as educators and mothers, they are teaching their students and children a lesson of compassion in Irma’s aftermath. Maria Arbiol collected needed supplies for people staying at a local shelter. Items requested included socks, towels and storage bags. Representing the local Alumnae Association of her sorority, Arbiol spearheaded a donation drive for the Tamiami shelter which is home to 1,500 Monroe County evacuees. Arbiol earned her Elementary Education degree from FIU in 2003. She is now an English Language Learners teacher at Everglades K-8 Center. She and three other moms — also FIU alumnae — turned their homes into collection spots throughout South Florida including Westchester, Homestead, Pinecrest and Kendall. Arbiol contacted the Red Cross to find out what the most pressing needs were for people staying at the shelter. Their list included zip lock bags, towels, socks and clothing so Arbiol took the monetary donations she collected and went shopping for the evacuees. On Sept. 15, she along with her two sons delivered the donations to the shelter. 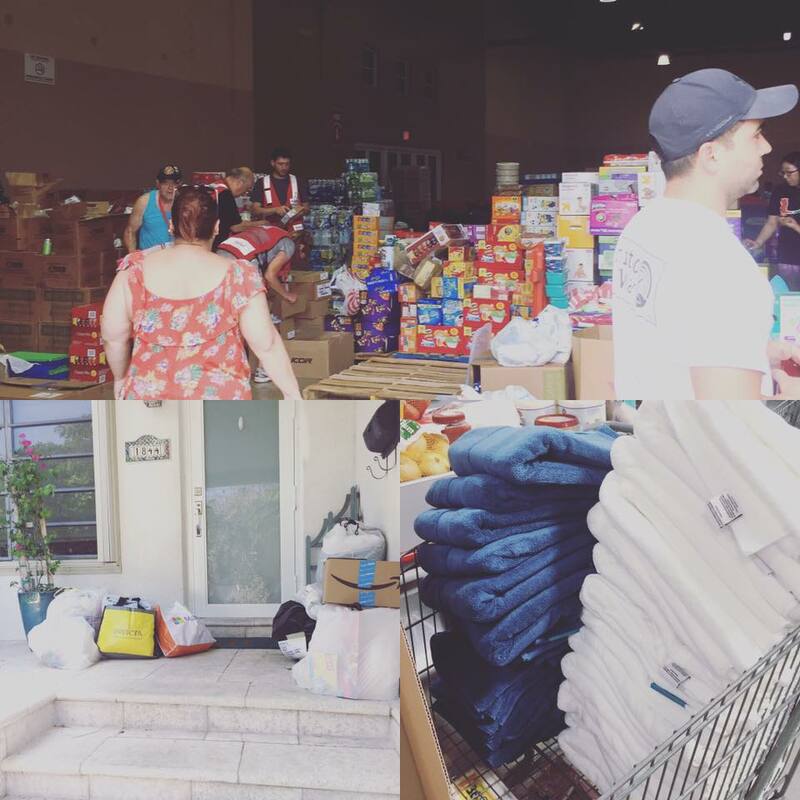 Arbiol is grateful for everyone who dropped off items, donated money and coordinated pick-ups across South Florida. But for her, it doesn’t stop there. Her Facebook page has become a bulletin board of posts with volunteer and donation opportunities all over the state. 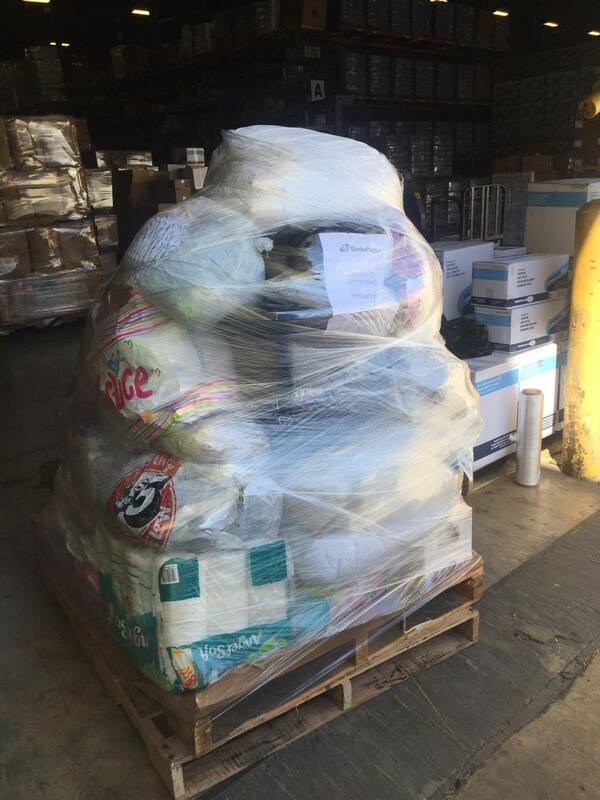 Jennifer Canals-Diaz has sent multiple pallets of much needed supplies to St. Thomas, St. Maarten and Barbuda. It was Arbiol’s Facebook posts that inspired Canals-Diaz to reach out. Canals-Diaz earned her Social Studies Education degree and master’s in Education Leadership from FIU. 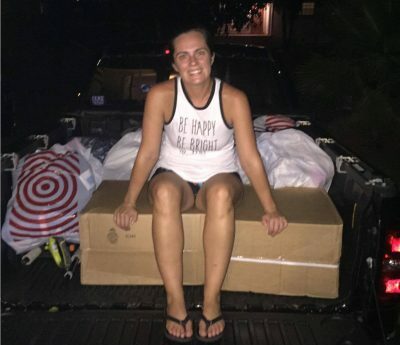 An Assistant Principal for Pembroke Pines Charter School, she could not make the trip down to Miami-Dade for the donations Arbiol was collecting. Instead, she mobilized her friends and students to collect donations that would be sent abroad to St. Thomas, St. Maarten and Barbuda, all of which were severely impacted by Hurricane Irma. Dade Paper Company offered to coordinate shipment of the pallets. Canals-Diaz said nine pallets of supplies have already been sent and more will go this week.